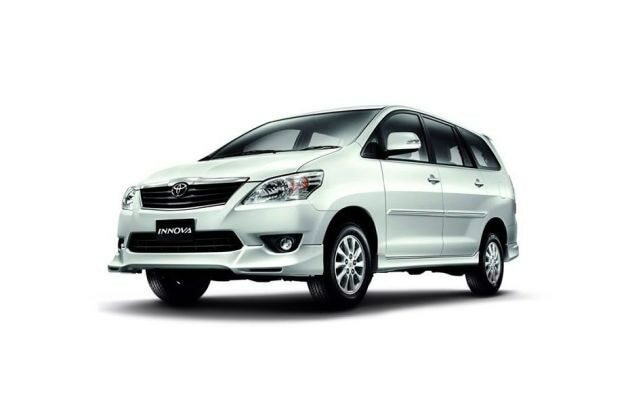 February 10, 2016: The Japanese automaker, Toyota has unveiled the revamped version of next-gen Innova namely- Innova Crysta at the ongoing 2016 Indian Auto Expo. The new Innova has the bigger dimensions now. It is 4735 mm in length, 1795 mm in height and 1830 mm in width. Toyota, however, has kept the wheelbase intact that is 2750 mm, which means the interior space remains the same. The next-gen Innova gets the interior features such as dashboard with wooden inserts, along with a modern instrument cluster and an advanced eight-inch touchscreen infotainment system. Along with these, the vehicle is featured with automatic climate control, power windows and illumination lamps as well. The new Innova Crysta is powered by an all-new 2.4-litre 2GD FTV four-cylinder diesel mill that develops 149PS of power and a peak torque of 342Nm. On the safety side, the top-end variant will get 7 airbags, whereas ABS, EBD, Brake assist and dual-airbags will be standard across the entire range. The claimed ARAI mileage: Toyota Innova Diesel is 12.99 kmpl | Toyota Innova Petrol is 11.4 kmpl. Mahindra Marazzo vs Toyota Innova Crysta: Which MPV Offers Better Space? The Marazzo might have the biggest ‘footprint’ for a Mahindra. But is that enough to beat the reigning champ? Toyota has stopped the production of the current generation Innova. This could be a move to make preparation in the plant for the production of the Innova Crysta. Toyota has suffered a setback in the international market. A steel manufacturing plant, from which Toyota Japan draws its raw material, suffered a blast. Toyota Innova Crysta has been finally unveiled at the ongoing 2016 Indian Auto Expo. The MPV is the next generation version of the company's dark horse.